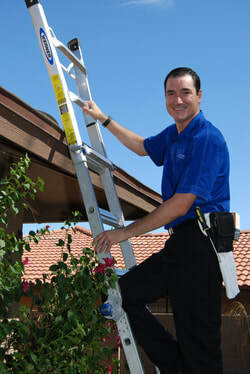 When was the last time your home was professionally inspected? ​As a licensed, certified Home Inspector it has become clear to me that our most expensive purchase ends up being the most neglected. That’s why I have decided it was time to use my knowledge as a Home Inspector and create the Home Wellness Check. Ultimately provide a little hindsight into unwanted possibilities, so you can budget and prepare to get things done on your timeline instead of being caught off guard. ​Have You Ever Had a Home Wellness Check? ​Isn’t it ironic that automobiles are scheduled for check-ups on a regular basis but most homeowners have never considered a check-up for their home? A house has much larger and more complicated systems than an automobile. More can go wrong with those systems, and poor maintenance greatly shortens their life. Home repairs due to poor maintenance are far more costly than auto repairs due to poor maintenance. Your family is at a much higher risk of poor health or injury in a poorly maintained home simply because they spend much more time in it. Properly maintained home systems last much longer than any automobile. Most surprise repairs can be avoided! And lastly, your home costs many times more than your automobile. Why would you choose to ignore it? Most homeowners don’t think about the fact that house-related problems, if found early, can be addressed or corrected before those problems become so large that the expense of fixing them causes a financial strain on the household. A Home Wellness Check is Your Best Prevention Tool! ​How do you know something is wrong with your home to begin with? Just like an automobile check-up, a Home Wellness Check will identify potential problems and hazards. And that knowledge helps you prevent expensive repairs. ​How often should I have a Home Wellness Check? ​We recommend that you schedule your home for a Wellness Check every 2-3 years or get on our yearly Check-up program. The Home Consultant isn’t there to sell anything. We’re just there to give unbiased, accurate information. A Home Wellness Check is a non-biased evaluation of the condition of your home and its systems that gives you a huge advantage in budgeting for repairs. The inspection uncovers items that need attention before expensive repairs are needed. That gives you time to plan and budget. Because we don’t do repairs, our only concern is providing you with accurate knowledge you can use. ​Consider the Value of Getting a Home Wellness Check. You’ll have an inspection pro by your side who cares about you and can help answer any questions you have. ​How is a Home Wellness Check Different from a Maintenance Inspection? Performed by a Licensed, Certified, Background-checked, and Insured Home Inspector. We take the necessary time to help you fully understand your home and cover any questions you may have. We never schedule more than two inspections a day. Offers a detailed thorough inspection that we tailor to your specific needs and wants. We personally review all items of interest with you and take the time needed to answer any questions you may have. ​Schedule Your Home Wellness Check Today! We make it easy! Just give us a call and we’ll schedule your appointment. You’ll be glad you decided to take the controlling role in maintaining and better understanding your home, and that you chose Whole Home Inspections to be your partner in knowledge.